Someone asked, “Why do we use the pericopes that we do; who chooses them?” An interesting question that gave me the opportunity to dig into some documents. This post doesn’t go too deep, but gives a brief summary of how the Church’s lectionary developed and the choices that were made that has led to the lectionary now being used by the majority of the Lutheran Church—Missouri Synod. A lectionary gives the Church a framework for the most important task she has been given by her Lord: proclaiming the Good News of Jesus Christ. First, let me explain what a “lectionary” is. It is a set of appointed readings from Holy Scripture used in congregational worship. There are lectionaries appointed for use on Sundays, as well as appointed readings to be read on the major feast and festival days of the Church Year. 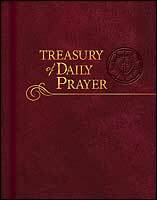 A lectionary permits the preacher to preach through the counsel of God in an orderly manner, in a way that is both instructive and thematic. The entire thematic structure of the Church Year itself is reflected in the lectionary reading choices as well. Liturgical churches that use a lectionary often take it totally for granted, but it comes as quite a revelation for those who know nothing about it and learn of it for the first time. Generally, used in Lutheran and other liturgical churches include a reading from the Holy Gospels, a reading from some other book in the New Testament, generally the Epistles, a reading from the Old Testament, and a Psalm. The Gospel reading is considered the main reading and sets the theme for the worship service. In the majority of Lutheran lectionaries, the other readings (especially the Old Testament) are intended to support the preaching on, and explanation of, the content of the Gospel reading. 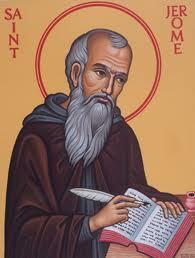 It is generally accepted that what we know today as the historic lectionary was first established by Jerome (lived c. A.D. 342–420). Having the name of Jerome attached to the lectionary made it influential on its own, but when it was later included in the Leonine Sacramentary, it became a standard text for the Western Church. At this time, the lectionary only provided assigned readings for Advent, Christmas, Lent, and Easter, with the rest of the year covered by optional Propers or by the choice of the local bishop or pastor. Three hundred years later, when Charlemagne decided to standardize liturgical practices in his domain, his religious adviser, Alcuin (c. 735–804), prepared a revision of Jerome’s work. This standardized worship in the Western Church and put everyone on the same page, at least for the festival part of the year. The next major change to the lectionary would not come until the thirteenth century with the establishment of Holy Trinity as a major festival in the Church. Holy Trinity soon came to dominate the second half of the Church Year, and with that came the establishment of assigned Propers for the entire year. By the end of the thirteenth century, the liturgical practice of the Western Church, year round, was governed by the historic lectionary, though it wouldn’t be until the Council of Trent (1545–1563) that the Roman Church actually enforced and stabilized its use. 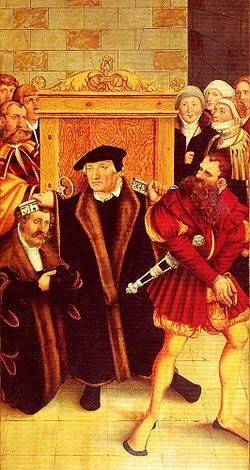 During the Reformation the question wasn’t, “Should the lectionary be changed?” only whether it should be used at all. While Zwingli and others abolished the use of lectionaries along with the observation of the Church Year, Calvin substituted a continuous reading through the Bible, called a lectio continuo, in place of the historic lectionary, since he saw homiletic value in having some sort of assigned reading. The Lutherans, on the other hand, judged that the lectionary did not promote false doctrine, and so they retained the historic lectionary with only slight revisions—the most notable being the added propers for Trinity 25 and 26. Additionally, they moved Transfiguration from August 6 to the last Sunday after Epiphany, though the date to observe Transfiguration was retained by some Lutherans, most notably, the Church of Sweden. Luther prescribed the use of the historic lectionary in both the Formula Missae and Deutsche Messe (LW vol. 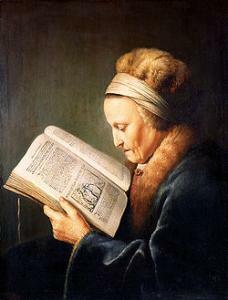 53 p. 23ff), and all Lutheran altar books continued in their use of it. Even the Augsburg Confession and the Apology testify to its official use in Lutheran congregations (Article XXVI and Apology XXIV.1). For the next four hundred years, Lutheran retained this common historic lectionary, along with Roman Catholics and Anglicans. It served as the basis for preaching and devotional books, hymnody and church music, and even until the mid-twentieth century was the index for every Lutheran hymnal. There certainly is a history of other lectionaries being prepared. Even in Luther’s day, it is recorded that among the Lutherans there were different lectionaries beginning to be used. It is important and useful to note that these were not individual undertakings, but that all the churches in a district or area would be using the same “variation.” In 1896 the Eisenach Conference churches of the Prussian Union produced a lectionary, popularized in the United States by Lenski and his notes on the series. The Synodical Conference produced a series that was adopted in 1912 and included by the framers of The Lutheran Hymnal (1941) as a “Second Series” available for use on Sundays (TLH p. 159ff). In 1868 the Scandinavian Lutheran Church produced a Three-Year Lectionary for their use. Most often these alternate lectionaries were produced, not to supplant the historic lectionary, but to supplement it, often adding Old Testament Readings or offering alternate texts for preaching. For the most part, the patterns and themes of the historic lectionary were maintained. Already fifteen years after the release of The Lutheran Hymnal in 1941, American Lutheran church bodies were seeking a revision. In 1965 the Lutheran Church—Missouri Synod resolved to appoint a commission that would work with other Lutheran church bodies to produce a new common hymnal. In February 1966 representatives of the LCMS, the American Lutheran Church, and the Lutheran Church in America met in Chicago and formed what would become the Inter-Lutheran Commission on Worship (ILCW). Later, representatives of the Slovak Synod and the Evangelical Lutheran Church of Canada (ELCIC) joined the Commission. Among other issues, the ILCW dealt with the Church Year calendar and proposed a multi-year lectionary, citing a “widespread restiveness with the appointed readings, a great deal of experimentation, and a desire for either reform of the pericopes or a completely new lectionary,” resulting from “a variety of influences in current theology, social-ethical involvements, developments in worship practice, and especially the influential biblical theology movement of recent decades” (Contemporary Worship 6: The Church Year Calendar and Lectionary. Prepared by the Inter-Lutheran Commission on Worship. Minneapolis: Augsburg Publishing House; Philadelphia: Board of Publications of the Lutheran Church in America; St. Louis: Concordia Publishing House, 1973. p. 13). These sentiments were heavily influenced by the same changes going on in the Roman Catholic Church, leading to the decision by Vatican II to publish a new lectionary system, the Ordo Lectionum Missae, released in 1969. This new three-year series that supplanted the Historic (ONe-Year) Lectionary throughout much of the Roman Catholic Church. The next year the Protestant Episcopal Church, Presbyterian Church, and United Church of Christ adopted the Ordo as a basis for new lectionaries in their churches. Having already set aside concern for loyalty to the received heritage and reverence for Western tradition, the ILCW simply followed suit when, in 1973, the ILCW published its version of the Three-Year Roman Ordo. The ILCW Three-Year Series established a lectio continua of synoptic Gospel assigned to each year: “Year A” focuses on Matthew, “Year B” on Mark, and “Year C” on Luke. John is featured in all three Series during the Sundays after Easter, and appears extensively along with Mark in Year B, especially in Advent, Christmas, and Lent. The Three-Year Series assigned a First Lesson, usually the Old Testament, to coordinate with the Gospel Reading. A lectio continua Reading of the Epistles was assigned to each year with no special effort to coordinate the Epistle with the Gospel selection. 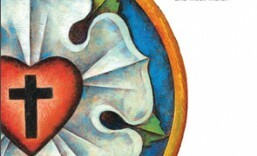 With the inclusion of the ILCW Three-Year Series in the LCMS’s Lutheran Worship, the ELCA’s Lutheran Book of Worship, WELS’s Christian Worship, and the ELS’s Evangelical Lutheran Hymnary, this Series quickly became popular in Lutheran circles. Even though the ILCW had offered a revision of the historic (one-year) lectionary to be included with the three-year series, within fifteen years its use had sharply fallen. However common and widely used it was among Lutherans, the ILCW Three-Year Series become one of the most short-lived lectionary series. Two years after the formation of the ILCW, representatives of the ELCA, ELCIC, and LCMS had joined an ecumenical group called the Consultation on Common Texts (CCT). Composed of biblical, linguistic, and liturgical scholars from various Christian denominations, their purpose was to prepare worship texts and materials for use in North America, including lectionaries. In 1978 they sponsored a meeting in Washington DC whose purpose was to form a committee that would reconcile the differences between the various denominational uses of the Three-Year Series. Ultimately the LCMS withdrew from this group. In 1983 the remaining members published the Common Lectionary. The biggest change in the Common Lectionary over its ILCW predecessor was the revision of Old Testament Lessons. The framers of the ILCW lectionaries had selected texts with reference to their New Testament fulfillment (typological approach). The CCT questioned the validity of imposed typology on the Old Testament Scriptures. Instead, the Common Lectionary used a pattern of semi-continuous readings, which were essentially independent from the Gospel. This change reflects the liberal view of Scriptures and purposely moves away from the belief that the Old Testament is directly predictive of the events in the life of Christ, etc. The CCT also included an appointed Psalm in the Sunday Readings. Another notable change was the adoption of the Episcopal Church’s practice of replacing the “Sundays after Pentecost” with “Propers” keyed to the civil calendar. The Common Lectionary was first used on a trial basis by a number of Lutheran and Episcopal congregations. The first to officially adopt it for use in their congregations was the Anglican Church of Canada in 1985. Early on, the Common Lectionary received a number of criticisms. These criticisms were directed especially from Lutheran, Episcopal, and Roman Catholic sources. Ultimately, and in response to those criticisms, the CCT published the Revised Common Lectionary (RLC) in 1992. In addition, three versions of the RLC were framed in response to the criticism of the Old Testament selections. There is a Roman Catholic version, which at times used readings from the Apocrypha for the Old Testament Lesson. And then there are two Protestant versions, one in which the typological approach to assigning the Old Testament Lesson matched to the Gospel is used, and the other where the semi-continuous Old Testament Readings of the Common Lectionary are mostly retained. The increasing influence of social issues on the selection of texts is seen in the revisions of the RCL, as more stories of women of faith are added, and texts deemed to appear anti-Semitic when taken out of their cultural and religious context of the Ancient Near East are eliminated. The RCL has become the lectionary of the Episcopal Church, the ELCA, and ELCIC. It is the official lectionary of the United Methodist Church, Presbyterians, United Church of Christ, and Disciples of Christ. The LCMS did not adopt the RCL. From the beginning of the development of LSB, the Lectionary Committee determined that both the three and one-year lectionaries would be included in LSB. 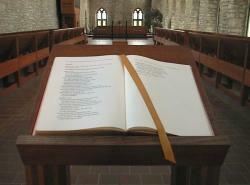 Since the introduction of the three-year lectionary in the Lutheran Church in the early 1970s, the great majority of congregations have made use of it. Though the number of congregations currently using the one-year lectionary is relatively small, the committee believed it essential to retain this historic lectionary, though with some modifications. The committee’s work concerning the three-year lectionary centered on the extent to which it would make use of the Revised Common Lectionary (RCL), which was published in 1992. The committee studied the issue carefully and, at the direction of the Commission on Worship, endeavored to bring considerable commonality with the RCL, especially during the Sundays after Pentecost. During festivals such as Christmas, Holy Week, and Easter, however, the lectionary reflects greater commonality with the one-year lectionary. Some Old Testament readings have been changed so that they are more closely connected to the Gospel for the day. Following the original intentions of the three-year lectionary, the Psalm of the Day is not understood to be a separate reading but rather a response to the Old Testament/First Reading. With the inclusion of 107 psalms in the Pew Edition, the selections for Psalm of the Day have been completely revised. Every effort has been made to use whole psalms. When a portion of a longer psalm is appointed, the committee endeavored to make the selection of verses as straightforward as possible to avoid causing confusion for the worshiper. As explained above, the Sundays after Pentecost follow the system that is used in the RCL. In this system, specific propers are assigned to a period of seven consecutive days, each being given the designation “Proper” with a number following. 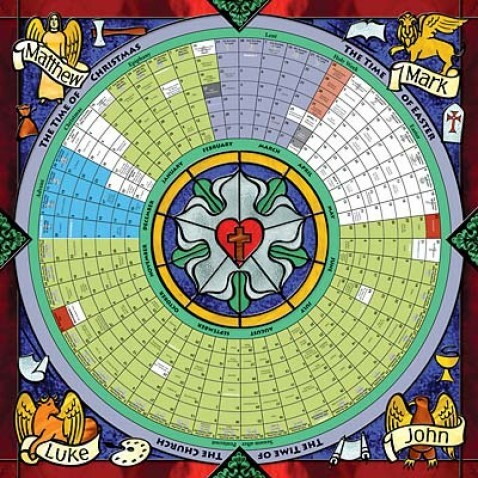 Unlike the current system in Lutheran Worship, where Sundays are skipped at the end of the church year, the new calendar places the “skip” at the beginning, right after the Sunday of the Holy Trinity. The designation “__________ Sunday after Pentecost” is retained as a more churchly way of identifying the Sunday, rather than by the “Proper” number. Though a bit different than our current practice, this new calendar is quite easy to use, partly because it is so logically conceived. The traditional Gospels and Epistles are retained. In a few cases an alternate Gospel is provided. More frequently, an alternate Epistle is also included. The Old Testament readings were completely revised with the goal of providing readings that are closely related to the Holy Gospel for each day. The pre-Lent season, also known as the “gesima” Sundays, is retained. A minor adjustment from the historic calendar occurs in the weeks following Easter. Whereas the earlier calendar referred to these as the Sundays “after” Easter, the revised calendar mirrors the three-year lectionary in designating them as the Sundays “of Easter. The traditional Latin names for the Sundays have been retained, as have the appointed readings. At the time Lutheran Service Book was being planned, the Lectionary Committee acknowledge a small but loyal following for the historic liturgy. In reality there is increasing interest in the older historic (one-year) lectionary. For the first time since The Lutheran Hymnal, there is again support for the historic lectionary, with a separate LSB One-Year Lectionary book being published. There never has been, nor ever will be a “perfect lectionary.” Yet even the worst of them is probably better than no lectionary at all. What is hugely obvious is that just as there is no such thing as a theologically neutral translation of the Scriptures, so, too, there is no such thing as a theologically neutral lectionary. The RCL lectionary(s) often display an agenda that at many points finds itself at cross-purposes not only with confessional Lutheranism, but with historic, orthodox Christianity. While the question of which lectionary we use (or whether we use a lectionary at all, for that matter) is certainly a matter of Christian freedom, this does not make it an unimportant matter. In choosing a lectionary for use in the Divine Service, we should remember that we are choosing a catechetical tool. A lectionary is to be more than a means to dole out little parcels of Scripture, it gives a framework for the most important task the Church has been given by her Lord: proclaiming the Good News of Jesus Christ. It is a path toward understanding the purpose and meaning of Holy Scripture and a guide for both pastor and congregation through the whole counsel of God. Understanding the history behind the lectionaries is important, especially for pastors called to these tasks of preaching and teaching God’s people. In preparing this post, I learned much from the paper, The Path of Understanding:The Development of Lectionaries and their use in the Lutheran Church, presented to the Evangelical Lutheran Synod General Pastoral Conference, Bloomington, MN, January 6­8, 1998, by Rev. Alexander Ring. It was later published in Lutheran Synod Quarterly, Vol 38, #2, 90–124. Substantial portions of this post are condensation and gloss of his work, and appears here with Rev. Ring’s knowledge and consent. The resurrection of Jesus is our great salvation. To prepare to celebrate the feast of the Resurrection (Easter), the Church sets aside a season of preparation. In AD 325, the Council of Nicaea recorded the first reference to the specific number of days for Lent: forty. This forty-day preparation was first prescribed for baptismal candidates and became known as Lent (from the Old English word for “spring”). During this period, the candidates were examined in preparation for Baptism at the Easter (or Paschal) Vigil. Later, these forty days were associated with Jesus’ forty days in the desert prior to His temptation. The forty day period is is symbolic of other periods of 40 in Scripture: the forty years Moses and the children of Israel were detained from entering the Promised Land, Elijah’s forty days spent in the wilderness, Noah had rain for forty days and forty nights, the Israelites wondered forty years to the promised land, and Jonah gave the city of Nineveh forty days to repent. Ash Wednesday marks the beginning of a 40-day season of repentance and preparation called Lent. The name is derived from the practice of placing ashes on the forehead as a sign of penitence and a reminder of human mortality. The color for Ash Wednesday is black, while the liturgical color for Lent is violet. Lent is a season of forty days and concludes on Holy Saturday–the Saturday before Easter. 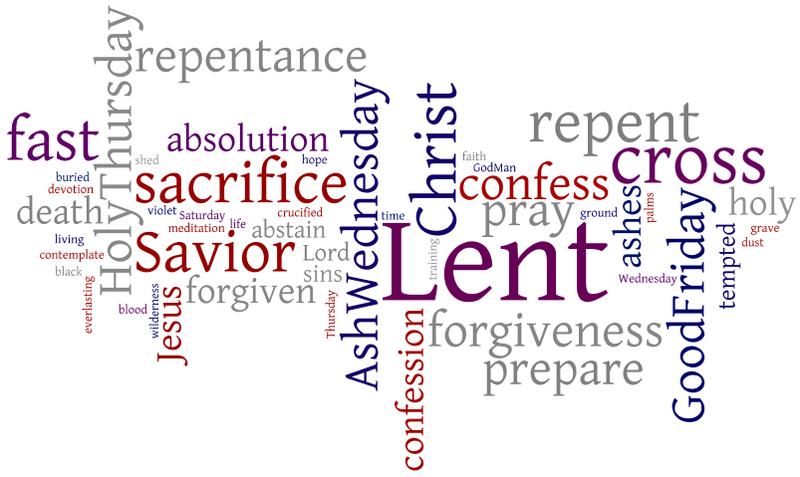 During Lent the Church takes to opportunity to focus on our need to repent of our sins and our need of a Savior from sin. 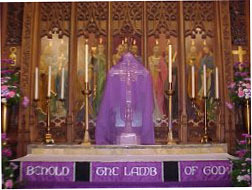 The Sundays during this season are not counted as a part of the forty-day season; the Sundays are not “of Lent” but “in Lent.” Thus even during Lent, while the worship services that congregations typically offer are penitential and solemn, the the Gospel appointed to Sundays in Lent do not speak of Christ’s Passion, rather they prefigure the great Easter victory. The resurrection of Jesus is God’s proof that our salvation has been completed and that the promise of life forever with our God and Father has been secured. The ritual observances of Lent are concrete reminders of the greater solemnity of this season, yet in all things, Lutherans emphasize the Gospel of Christ and the hope of Easter as central even to this penitential season. The observation of Lent is characterized by the liturgical omission of the joyous Alleluias in the Divine Service. After the Epistle we hear the Tract or Verse instead. The Gloria in Excelsis also is not sung. Some congregations choose to silence the organ or limit its use to accompanying congregational singing, thus there are no instrumental preludes, postludes, or anthems. Though less enforced today, it has been traditional to not schedule weddings during Lent. Some congregation honor the Lenten quarantine by choosing to not place flowers in the chancel and some will cover crucifixes and crosses with veils of violet or unbleached white linen. The quarantine sets the tone for the liturgy of Lent which is patient preparation and waiting for the climactic liturgies and services of Holy Week. Man, yesterday was great. I went out early to that supermarket that bakes fresh 7 days-a-week and picked up Pączki for the family for breakfast. Friends introduced us to this Polish Tuesday-before-Ash Wednesday tradition and we have enjoyed Pączki Day for over 30 years. In a similar vein German Americans have traditionally celebrated with a traditional doughnut called Faschnacht. If you background leans a little more to being English, yesterday would have been Pancake Day. Whatever the cultural variation, the day had a purpose, eating rich foods on the Tuesday-before-Ash Wednesday was a way to empty the pantry of lard, sugar, fat, and butter, which were traditionally fasted from during Lent. And then let’s not forget those who celebrate Fat Tuesday with a party or carnival—for two weeks St. Louis French quarter, Soulard, has been host to the second largest Mardi Gras in the country—and Mardi Gras is simply French for ‘Fat Tuesday.’ Just about wherever Lent is celebrated, Fat Tuesday traditions have grown up. Like many traditions, while the ‘fun’ and ‘traditional’ aspects endure and are celebrated far and wide, the reason for the tradition is largely forgotten or set aside as no longer relevant. Why would Christian households commit the day before Ash Wednesday to emptying the pantry of butter, fat, and sugar? The answer is not in the donuts or the pancakes, or the rich Mardi Gras foods—as much as we like them. With the pantry cleaned out, the Christian family is prepared for the traditional fasting that is associated with Lent. A few of the liturgical traditions still remember or use the old term Shrove Tuesday. ‘Shrove’ means to have been shriven before Lent, an old English way of saying to [be prepared] to obtain absolution for one’s sins by way of Confession. Here then is the other traditional aspect of Lent: that is confession so that one may obtain absolution for sin. Lent prepares us to approach the Cross on Good Friday, approach shriven, approach having contemplated our sins, not just to have made a list of them, but to have pondered anew the great need we have for a Savior from our sin; to contemplate the gravity of our sin—sin so deep, so dark, that it required nothing less than that the Son of God would die that we could be reconciled to God. Ash Wednesday is set aside yearly as a day of repentance, a day to contemplate your sins and to be sorry for your sins. Not matter your Christian tradition, it is not too late to be shriven—and it doesn’t require you to go to IHOP or Drive-In Donuts. Repent! Hold up your life, your thoughts, your pet sins before the mirror of God’s Ten Commandments and see how far we are from His holy will. But to recognize sin is not enough, to make a list of all our sins, even if we could, is not enough. Repentance, true repentance, requires that you turn away from your sin. To turn away from excess during Lent just to pick it up again in spades after Easter is no true Lenten discipline. In the same way, to confess your sin, but not turn aside from it, to not change your life, your actions, your sinful behavior, but to return to them—that is not true repentance. Empty ‘sorrys’ come so easily off our lips. Like many who celebrate Fat Tuesday with no intention of being shriven, we throw ‘sorrys’ around with no understanding or intention to do anything really different. Your “I’m sorry,” no matter how heartfelt, is insufficient if it is not joined with the change needed to not commit that sin again. God despaired of our sin. Yet, instead of acting in righteous judgment against us, He sent His Son to die for our sin, so that we might live with Him forever. The weight of your sin–my sin, the heavy yoke of it, crushed the Lord on the cross, so that we would not have to be crushed into the grave forever. He drank to the dregs the bitter cup of God’s wrath against our sin, so that in true faith we receive the sweet cup of blessing in Christ. 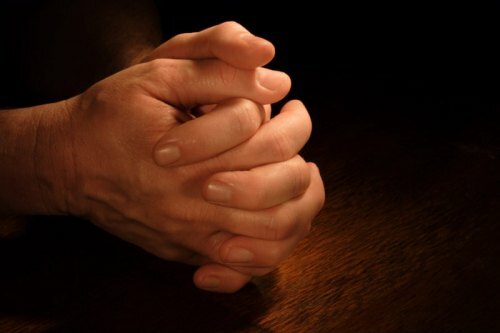 While we turn our attention to confessing our sin on this Ash Wednesday, all the more let us turn our lives to lives of repentance-lives where we continually hold ourselves accountable to God and to each other, lives where we sorrow over sin AND seek the God-given strength to turn from our sins. This is the work the Holy Spirit does in us, the daily drowning of the old sinful man and the bringing forth of the New Man—this is the daily remembrance of our Baptism that strengthens us. Confession has two parts, first, to confess our sins, and second to receive absolution. 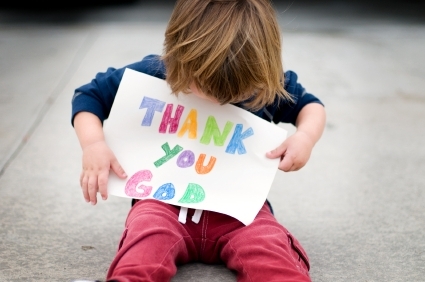 Absolution, the sweet word of God that announces that your sins are forgiven. Absolution, the sweet Gospel that on account of Christ, God sets aside the punishment of your sin. It’s Ash Wednesday. Repent! Then hear the Word of forgiveness with the assurance that your sins are truly forgiven by God in heaven. Having received and been instructed from the Word of the Lord, we respond by confessing the Christian faith. This statement of faith is called a Creed (from the Latin word credo, “I believe”). From the earliest times of the Church, there have been creeds. While certainly the Bible records some of the earliest creeds (cf. 1 Corinthians 12:3, Philippians 2:11), challenges to correct doctrine required the Church to form responses that stated clearly the teaching of Scripture. and sits at the right hand of God, the Father Almighty. The Apostle’s Creed is the oldest of the Christian creeds. It appears to have arisen out of the earliest worshiping communities as a concise and easily learned way to catechize converts what to believe about the person and work of God. This creed is often confessed at Baptism, personal devotions, and in corporate worship when the Lord’s Supper is not being celebrated. And I believe in the Holy Spirit, the Lord and giver of life, who proceeds from the Father and the Son, who with the Father and the Son together is worshiped and glorified, who spoke by the prophets. And I believe in one holy Christian and apostolic Church, I acknowledge one Baptism for the remission of sins, and I look for the resurrection of the dead and the life +of the world to come. Amen. While the earliest creeds arose out of need to teach what to believe, there were times that Church needed to take a stand and teach what not to believe. Fourth century controversies over the work and Person of Jesus Christ caused chaos in the Church and threatened to destroy the true Scriptural teaching about Jesus. 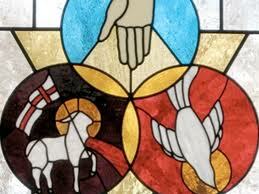 The Nicene Creed was formed in response to the false teachers. The larger second article, which teaches about Jesus, is in direct response, and condemns, the false teachings of that time. The Nicene Creed became the standard by which congregations, and a Christian, were in unity with the teaching of Scripture. The Nicene Creed, with it’s teaching that Christ came into the world “for us” to pay for our sins, and that He will “come again” have won it a place as part of our celebration of the Sacrament of the Altar. Whoever desires to be saved must, above all, hold the catholic faith. Whoever does not keep it whole and undefiled will without doubt perish eternally. And the catholic faith is this, . . .
. . . This is the catholic faith; whoever does not believe it faithfully and firmly cannot be saved. The third of the Church’s historic creeds is also her longest. The Athanasian Creed stresses the right teaching of the faith, and the unity, which comes only from a right confession. Because of its clear teaching on the nature of God, the Athanasian Creed is often confessed on Trinity Sunday. These statements, while never seen as being the same as the inspired Word of God, are confessed because they clearly and accurately present the teaching of Scripture. Because their contents, then, are Scriptural, the doctrines they taught are held to be true and necessary for all members of the Church to confess. By confessing one of the Church’s historic creeds, we express our unity in the faith, a unity of what we believe, teach, and confess—a unity of faith that unities us with what the entire Church has confessed throughout the world and across the ages. and for the restoration of those who have left the Church. The traditional position of the Prayer of the Church at the conclusion of the Service of the Word and before the Service of the Sacrament also teaches us the interrelationship of these parts of the liturgy. Having heard the Word read and proclaimed in the Service of the Word, the congregational members, as the body of Christ, carry out their God-given status as the royal priesthood of believers. We glorify God and intercede before Him, thereby serving Him and our neighbor. Then in the Service of the Sacrament, we are reminded and taught anew the very means by which God richly provides for our greatest need; for surely if God did not spare His own Son, but sacrificed Him for our salvation, then He will secure for us the things for which we pray in this life.